Neil Patel shares 6 simple edits that take less than 6 minutes combined, to optimize your YouTube videos for maximum reach, views, and engagement. Not getting as many views, subscribers and likes to your YouTube videos as you’d like? With hundreds of millions of videos on YouTube, there’s a lot of competition. So how do you make your video stand out and get the exposure it deserves? Neil Patel, entrepreneur and SEO content marketing extraordinaire, shares these 6 simple tweaks that you can make to any YouTube video to immediately boost their ranks. If you have videos on YouTube, use these 6 tips (once mastered, you can pull this off in 6 mins) and see how it boosts your video rankings. The more keywords you place into your videos, the more opportunities it creates for people to find your video. For example, if you a video about Peanuts, and you use only the keyword “peanuts”, then your video may appear when people search for that keyword. But what if you inserted a network of related keywords like “nuts, cashews, groundnuts, protein foods, almonds”? Suddenly you open up a huge door that people can walk through to find your video. Be sure to use the “Tags” field properly and add as many tags as you can think off. This is one of the biggest mistakes we see people make. Websites do not currently have the ability to accurately fetch keywords from spoken audio in videos, so for now, written keywords are still a significant factor in video rankings. If you have a great presentation on video, transcribe your words using a service like speechpad.com to instantly get lots of SEO juice to boost that video’s ranks. Paste the transcription INTO your video Desc field. Not only do you now make your video easier for people to consume, you’ll see an eventual rankings boost. YouTube allows you to post a video reply to certain videos, which means that on any video you publish, someone can leave a “video comment” that references your video, and this “video comment” will show up below your YouTube video. Did you know you can use this in the reverse way also? You can find a popular video with millions of views and post your video as a reply. Now millions of people will see your video, just because you posted your video as a reply to it. However, keep in mind that you can only do this once, so choose wisely. If you video is on an iPhone app. Find a popular iPhone related video like this and post your video as a reply. YouTube is the #2 search engine in the world, behind Google. This means the lion’s share of how people find your videos is through keywords. And what has one of the biggest weights on video placement for popular keywords? The keywords in your title! Most people think of external SEO as a way to boost rankings for pages on their own domain, but it also plays a huge role in page ranks for YouTube videos. When you have lots of authority websites directing links to your YouTube videos, they rank higher for their keywords, which boosts visits to your website. From your website, people see more of your videos, which boosts the rankings of THOSE videos. Soon, you have a network of popular videos feeding massive traffic into each other and growing every day. To save time doing external SEO for your YouTube videos, you can use a service like AudienceBloom.com. But here’s another trick. 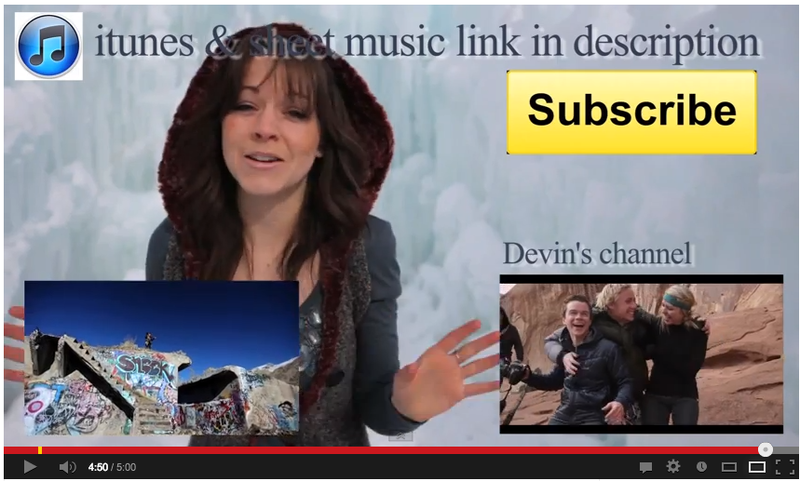 If you embed your own video on your blog, just below the video, add a link back to the video on YouTube. Make the link say something like “Click here to watch this video on peanuts on YouTube. Boom! you just served up some serious SEO juice to your video. Most videos on YouTube dont get a single link to them outside YouTube itself. So a simple trick like this will already put your video WAY above the competition. You’ve worked hard to get the most number of people possible to watch your YouTube video. Here is a golden opportunity: show your other related videos at the end of the video! This is the moment when your viewers are most engaged in your content. If you linked to 2 other videos of yours on every video you make, you end up with a huge network of inter-linking videos that boost their rankings and traffic. Do you see the recurring theme in these 6 simple tweaks? These tweaks are simple and fast, but more importantly they are duplicatable. This means that you can use this on any YouTube video you have to boost their views, likes, subscribers, and comments. And because you’ll also be linking to other videos that also use these tweaks, you end up building an ever-growing empire of YouTube videos that dominate the keywords you want to rank for, and getting tons of interested leads and visitors to your website day after day. Use these 6 tweaks on your videos now and see how they affect your YouTube ranks. Have you noticed a jump in your YouTube view counts after using these? Let us know in the comments below!